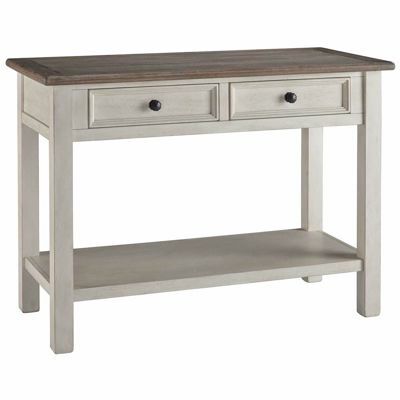 Bring country charm to your home with the Bolanburg Lift Top Cocktail Table by Ashley Furniture. 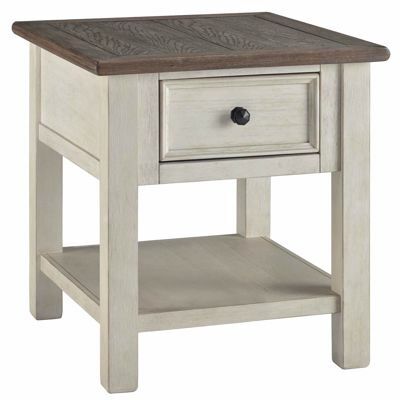 This lift-top cocktail table has a delightful vintage look thanks to the textured antique white finish on the table base and a rustic planked top in a gently distressed weathered oak finish. 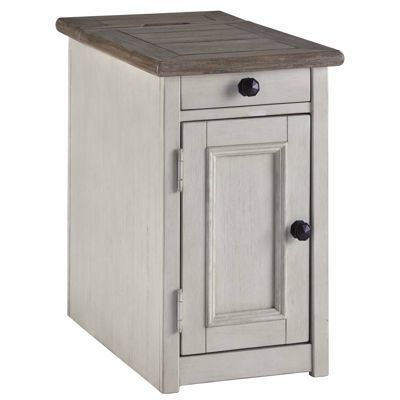 Four drawers provide storage space, while the lift top adds even more functionality. 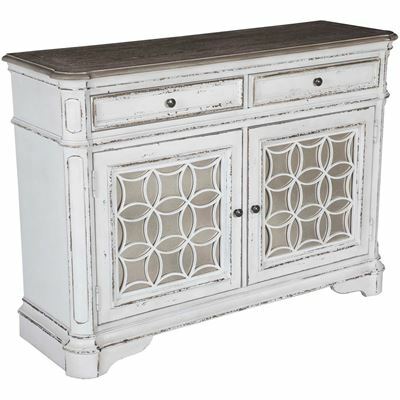 Bring country charm to your home with the Bolanburg Lift Top Cocktail Table by Ashley Furniture. Bolanburg Lift Top Cocktail Table by Ashley Furniture. Two drawers on front of table, one drawer on either side of table. Casters allow you to easily move the table.